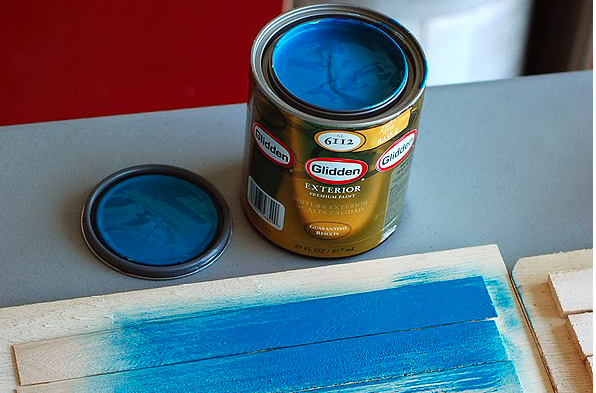 She Paints These Slats Blue And Then Creates Backyard Art With Them! The backyard easily gets neglected when it comes to art. It takes a very dedicated homeowner or renter to ensure that the backyard of your house gets adequate attention and enough beautiful things. Not everything has to serve a multi-purpose, right? 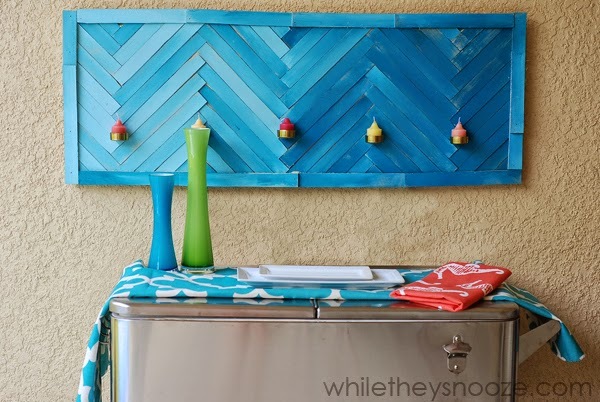 She uses shims from the hardware store to make this, which is a clever supply to craft with. Find out how to make this over at whiletheysnooze. Have you ever crafted with shims? What did you make with them?